There’s not a whole lot lacking when one stays at Hualalai Resort. From beaches, to the spa, and sports, activities are wholly fulfilling and varied, keeping guests busy day in and day out. It’s no wonder that one can work up a pretty healthy appetite! You’re in luck, however, because dining is a delicious experience while staying in Hualalai Resort. The Hualalai Resort Resident’s Beach House is just one of the many options you can choose from during your stay. The Resident’s Beach House is a wonderful al fresco experience. “Guests and residents are welcome at the Residents’ Beach House. With the holidays quickly approaching and the winter weather moving in, the Residents’ Beach House provides views of iridescent sunsets in a tropical climate great for pictures and memorable moments. Intimate seating, a large deck and only steps away from getting your feet wet by the Pacific Ocean. 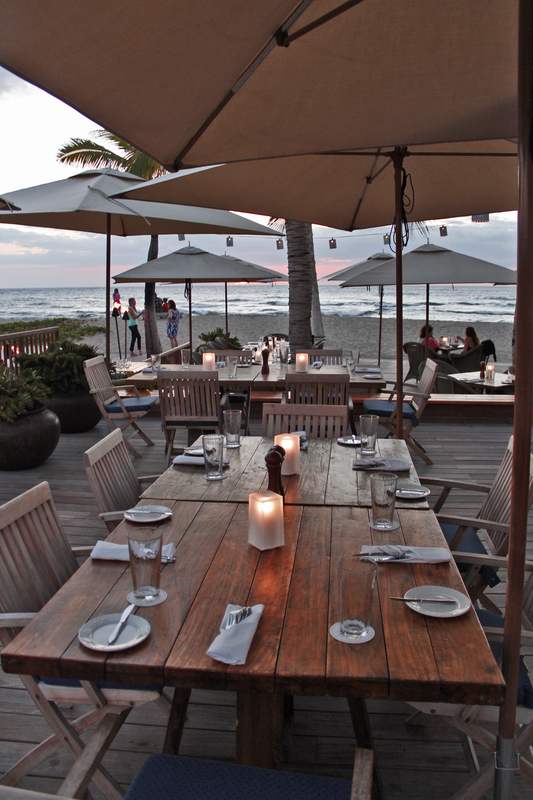 This beach front restaurant is just a small taste of what you will experience when you visit the Hualālai Resort. 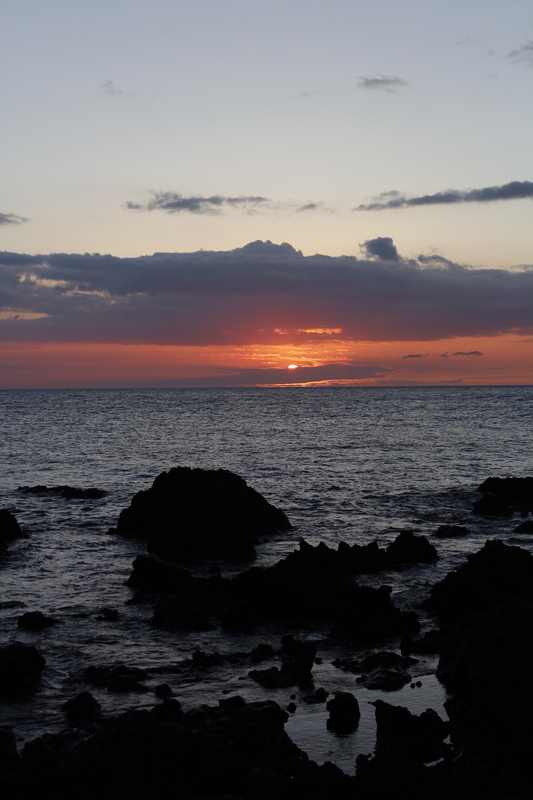 Sunset views at Hualalai Resort are amazing. Photo Courtesy of Hualalai Hale, LLC. There are very many different menu options, including vegan and gluten-free lunches. Reservations are recommended, so please contact your Hualalai Concierge at 808-325-8450 to make arrangements. « Celebrate Independence Day on the Big Island!